With confirmation that Jedward are making their Hollywood debut this summer in Sharknado 3 comes the latest news that good friend Ed Sheeran has also been approached to make a film – this time for top Indian director, Farah Khan. It seems Khan hit it off with the “Thinking Out Loud” singer after his sell out performance in Mumbai recently, and arranged for him to come as her guest to the wedding banquet hosted by Bollywood heartthrob, Abhishek Bachchan, for his cousin Naina. Ed and Abhishek got on very well, and it wasn’t long before it had been arranged for Sheeran to appear in the sequel to popular film, “Happy New Year”. It is of course nothing new for singers to act, it’s something that’s been around since films first started being made, with many singers performing in musicals, with the occasional foray into “serious” acting. In more recent times, Jared Leto has been able to co-ordinate both his music and acting careers for years now, although he of course started the other way around, crossing from acting into singing. But like most creative people, he doesn’t easily fit in the one box, affixed with a single label. Leto the singer is also Leto the actor…and also Leto the entrepeneur, and Leto the human rights activist. Sure, a cameo in a cult spatter film or a Bollywood musical isn’t in the same league as acting in Dallas Buyer’s Club, but all three have the one thing in common with performing on stage – the artist is putting on a public persona that might well be a caricature of what they is like in real life – or, it might be a completely different creation. Ziggy Stardust is the most famous alter ego of David Bowie. Ziggy was created as the lead character in a complicated story about how earth’s destruction was going to happen in 5 years. Ziggy was the ultimate cross-over from music to acting, with David wearing him like a cloak in all his public appearances during that time. 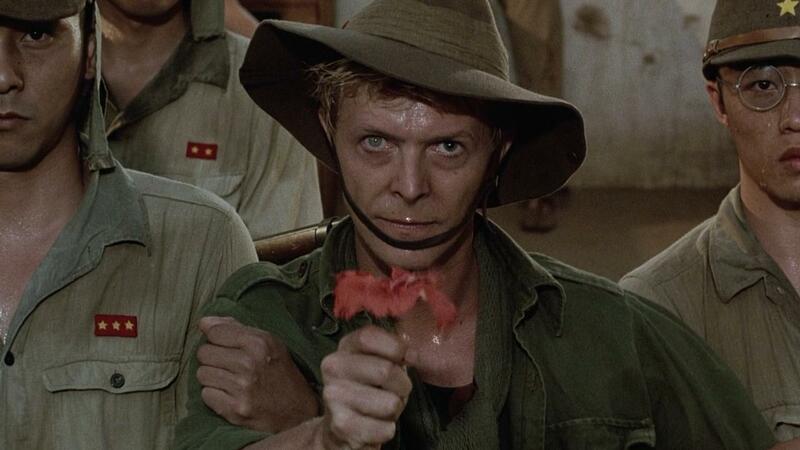 It should therefore have come as no surprise when Bowie was able to wow theatre goers with his portrayal of John Merrick in the Broadway run of “The Elephant Man“, or Jack Celliers in the film adaptation of Laurens van der Post’s book, “Merry Christmas Mr Lawrence“. Bowie had a background in mime, which he encorporated into his musical performances, but again, we have an example of a creative mind which will not be confined to just one thing. So – should singers “stick to what they’re good at”, or should they be allowed free reign to explore other artistic avenues? It’s not unknown for singers to pursue other forms of art, many are gifted painters, sculpters, fashion designers, even authors. As well, given the complexity of a lot of music videos, are singers not already acting, if on a smaller scale? It remains to be seen what Jedward and Ed Sheeran bring to their big screen performances, but we at Essentially Pop are happy to see them exploring other creative areas, and wish them well.